Professor Demarin is a reputable researcher; scientist and full professor with tenure at the University of Zagreb and associate member of the Department of Medical Sciences of the Croatian Academy of Arts and Sciences since 2002, and in 2010 she became a full member of the Academy. Advisor to the Director for International Cooperation Hospital Sisters of Charity, the founder and leader of two reference centers of the Ministry of Health and Social Care (for neurovascular disorders and headaches).Her main areas of research studying are vascular disorders of the brain, the cerebral autoregulation and cerebral vasoreactivity. She is a pioneer in s Doppler Diagnostics in Croatia and in Central and Southeastern Europe, and her work has significantly advanced the noninvasive diagnosis of cerebrovascular disorders in primary prevention of stroke. She has published 297 scientific papers, 59 papers and 59 books and educational texts. She has given 111 invited lectures at international and 50 national conferences on. There are 443 citations in the SCI than it 1991.do 2008th year. She is the editor and also a member of several editorial boards of medical journals. Professor Demarin is successfully organizing several national and international congresses, symposia and courses. Since 2002 she is organizing conferences on evidence based medicine, and since 2003 is leading conferences on brain disorders, organized by the Department of Medical Sciences of the Croatian Academy of Arts and Sciences. She was a principal researcher in three completed projects of the Ministry of Science, Education and Sports, Head of the Croatian branch of four international projects, Principal researcher in several international neuropharmacological researches. She is President of the Board or a member of several international scientific societies and was elected a member of the American Academy of Neurologists, the American Society for Heart and Stroke and the European Society for stroke.Professor Vida Demarin is one of the pioneers of preventive action in the prevention of cerebrovascular disease and improving the quality of life. 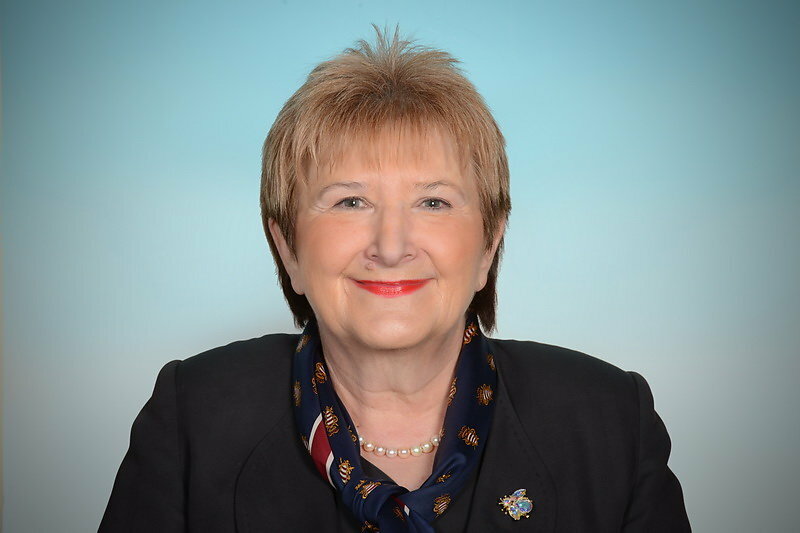 She was among the founders of the Croatian Neurological Society and CMA, and was its president, then the Croatian Society for Stroke Prevention and the Croatian Society for Neurovascular Disorders of the CMA. She is a member of the Croatian Academy of Medical Sciences since 1994. Professor Demarin affirmed in the country and abroad, and her scientific and professional work has significantly influenced the development of neuroscience in Croatia and worldwide.